Firstly, brief status update. 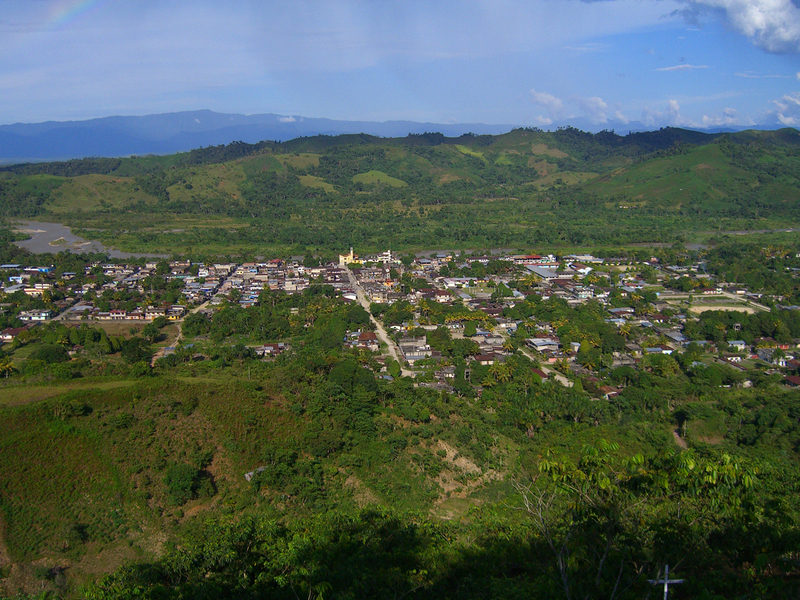 As of August 2013, “Isulawasi” (18.4 hectares) has been registered in the region of San Martin as a rural landholding reserved for agriculture (predio rural). 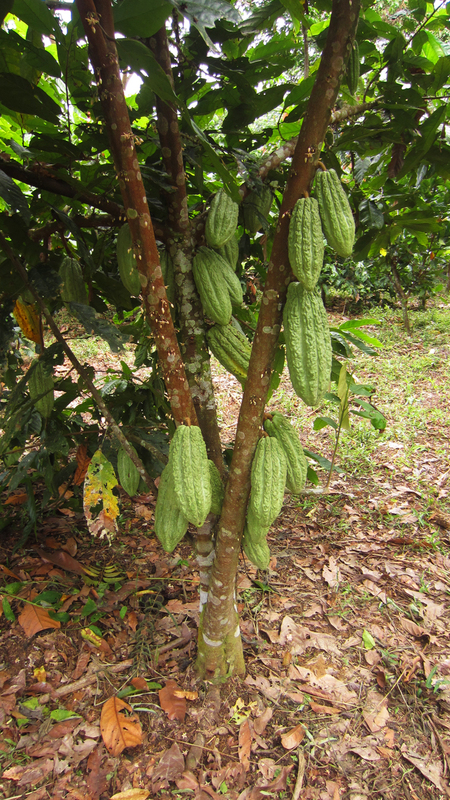 The first half of 2014 has given Isulawasi it’s first cacao harvest. Although, the yield is tiny, it is a good sign, and gives me more motivation to “baby” my cacao trees for harvests to come. I must obviously plant another 100-200 Theobroma trees. I want to be able to produce at least 1000 kg of properly cured and dried cacao beans. I’m not sure this is feasible by next year, but I am going to give it a go. There is nothing like starting slow, learning the ropes, and expanding as necessary. I’ve been wondering lately. How is it that I have been sloshing on this muddy path? Almost everyday I wake up at 6am, and after my morning essentials I am off to the garden! My forest/garden/orchard, “Isulawasi,” is named after a famous and plentiful insect, the giant bullet ant (Paraponera sp). “Wasi” means house or place in Quechua. So, to House of the “Isula” I go to work and play. I arrived in Peru in the beginning of 2009. I had recently been laid off from my position at the local watershed council and was up for a change. Given that I have roots in Peru, it seemed like the right choice coming over here to visit family, travel a bit, and contemplate my next move. It did not occur to me at the time to live here, although I was open to the possibility and rather fed up with the political and economic situation back home. My real adventures began when I arrived in Uchiza, a small town with a tainted history on the lower slopes of the tropical Andes. Little did I know what would wait in store. Gradually, I left the big city comforts of Lima smitten with this small unpretentious jungle town. As a matter of fact, by the time I had arrived in Uchiza, all the creature comforts i.e. internet, cable TV, cellphones had already been there for a few years! So, I thought I would have the best of both worlds- rural tropical paradise AND civilization. 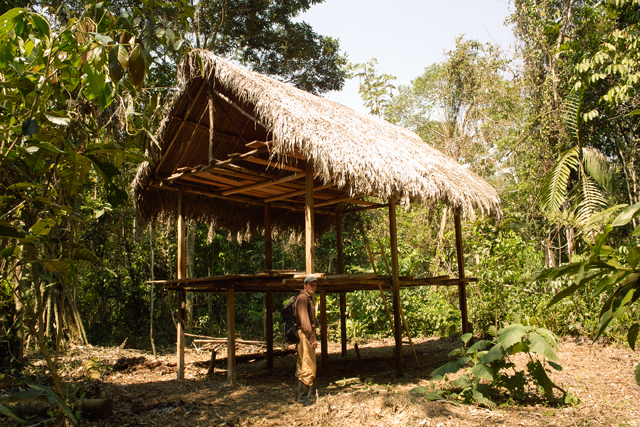 As I began to spend more time in Uchiza becoming familiar with my family roots and exploring the region, I began to think about how I could apply what I learned in my Permaculture design courses here. 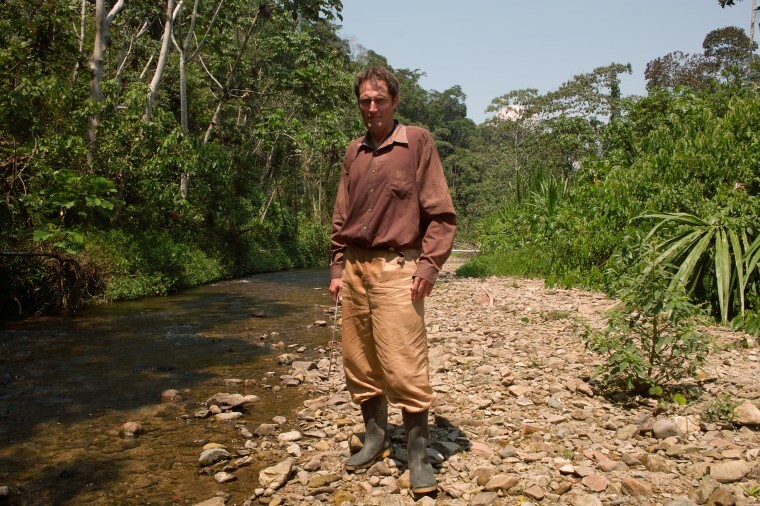 Maybe, acquire a small piece of land and “develop” it in an ecologically “regenerative” way. I knew that it would be difficult back home given my economic reality. When the opportunity arose to purchase a rural property, I jumped on it. First off, the price per hectare was unbelievably cheap. 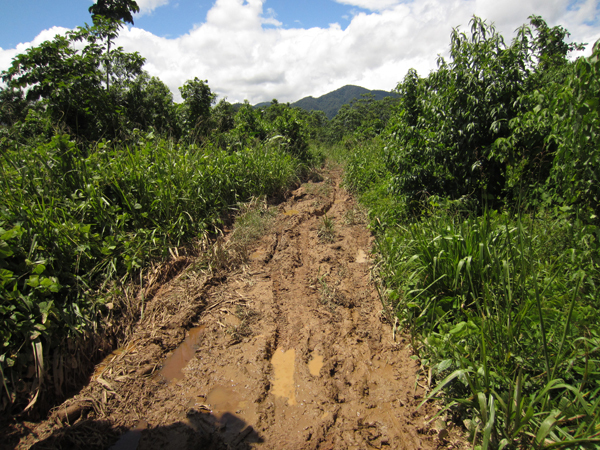 The property itself was a bit remote and wild, but accessible (via trail) with several spring fed creeks, secondary, and primary forest near a small montane river. More than half was suitable for small scale horticulture/agriculture and the rest for reforestation/ecological restoration. I quickly closed the deal on 18 hectares, but had to settle without a land title for the time being. In fact, few folks, I’d been told, possessed legitimate titles. Also, most folks were waiting for the state to issue titles. So, I had to wait and learn. Patience became something to be practiced daily. Greetings! This blog documents my thoughts and experiences as I grow and evolve at Isulawasi. I hope you enjoy it, always learn something, and find a little inspiration, too!